In honor of the opening of Watch Me Move, an exhibit celebrating animated films that starts today at the Detroit Institute of Arts, here is How Animated Cartoons are Made, a 1919 short produced by the Bray Studios and starring animator Wallace Carlson. The show originally was designed and presented in London (I helped a little with the original exhibit). I’m curating the animated shorts screenings that coincide with the exhibit in Detroit and am having great time finishing the programs. There are also showings of animated features, a live music event with Sterewich films, and lectures/ showings featuring our own Jerry Beck, Paul Dini, and even one with me. You can see the list of all the shows here. This week’s film, How Animated Cartoons Are Made, may very well be the first film of its kind, and it sets a sort of precedent in that generally films about the making of animated films always seem to contain inaccuracies. It’s hard to even guess the reasons why this is nearly always so; perhaps it just made a better story to show things like the various heads layed out next to each other as in this film, or actors hamming it up, recording while watching the cartoon that was track read in advance of the animation. 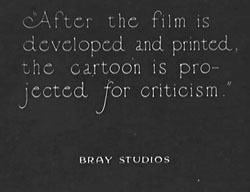 Maybe that stuff was considered just too technical to show an audience (though the Popular Science short about the Fleischer Studios stays fairly true to the process). 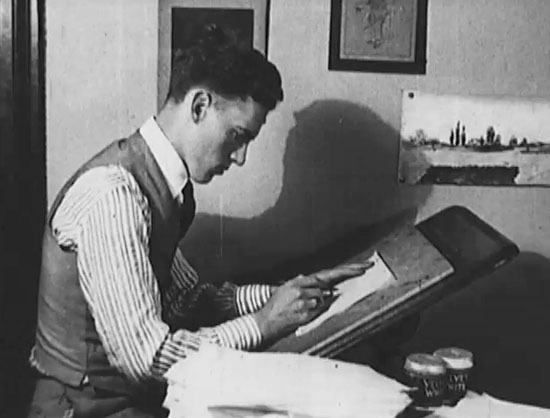 Wallace Carlson was a pioneering animator, joining Bray early on in the animated film industry. 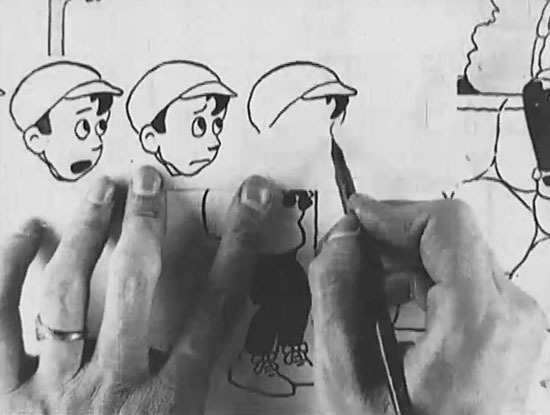 Tom Stathes has a nice little page on Carlson as part of his Bray Animation Project. Something I really like about this little short is the enthusiasm shown by Carlson, even as his overbearing (and seemingly humorless) boss does things to him that he should be arrested for. Somehow I doubt that it was very important to anyone how accurately a wooden legged woman’s run cycle is, but it does make a fun ending to this short. One wonders why Bray doesn’t appear in the film himself since he clearly would be the boss…. A few copies of this film were offered on Ebay a handful of years back. They had shown among a good sized pile of reels in the forgotten 28mm film format, along with a lot of old equipment in Chicago (Carlson’s home town, funny enough). It was produced on safety film, as most things in the 28mm film format were. Kodak’s 16mm film format took over the market that 28mm was trying to capture, leaving 28mm an orphaned format here in the states at least. I was lucky enough to win one of the prints, so here it is. It’s on the Thunderbean DVD Makin’ ‘Em Move, and will be shown as part of the Pioneers of Animation show as well. 28mm film? 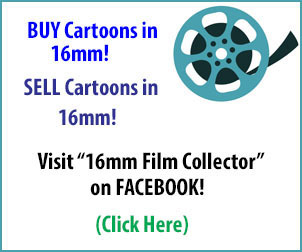 I’ve heard of 9.5mm film, but 28mm. Very Interesting. Fantastic stuffl. Thunderbean Thursday is great. Wow! This is great! And Carlson looks so young! Thank You for allowing us to see this. What a wonderful time we live in that I’m able to watch a 1919 film in the comfort of my home. I have been involved with the Barbacon exhibit for the past two years. I will be there tonight for the reception. Hope the exhibit goes well! I do wonder from what cartoon the animated sequences shown comes from. I am so happy that I can be animated cartoon maker!